Due to ongoing success and expansion, Bangkok opportunity exists for the full time Graduates, Valuers & Senior Valuers to join our growing Valuations & Consultancy team in Bangkok. Working within a team that offers solid structure, vibrant culture & a fast paced team dynamic, this role will allow you to showcase your existing skills and experience as a Valuer. We actively seek out people who possess that rare mix of work ethic, rock solid integrity and attentiveness to client needs. With Savills your horizons couldn't be broader. We operate out of over 600 locations around the world and our services cover the full spectrum, from providing strategic advice to managing assets and projects, and transacting deals. We value excellence and reward it. We also give back to our communities and provide environmental leadership. 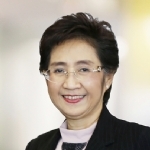 At Savills Thailand you will help shape the future of the Thai property market. You will do so as a member of a property services firm with an unparalleled reputation for excellence. Globally, Savills has been introducing innovations to market and delivering exceptional service to clients for over 150 years. Undertaking valuations across a range of property types, for a range of purposes including market value asset valuations, insurance, first mortgage & compensation assessments. Please note only short listed candidates will be contacted. Only Thai citizen need apply. Applications will be treated in strict confidence. Personal data collected will be used for recruitment purposes only. We offer attractive remuneration and excellent prospects for the right candidate.